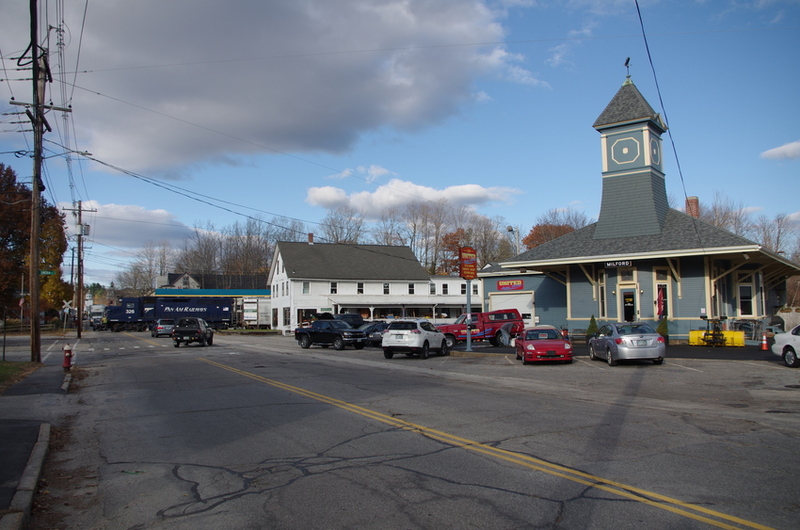 With the Brookline and Milford Branch station in the foreground, local NA-1 treads cautiously across South St. in Milford, NH on the Hillsboro Branch. Great shot! I've driven by there once and didn't realize the line was active at that point!